Last December I reviewed the excellent book Toms River about the damage caused by the decades-long dumping of chemical pollutants into the waters and land surrounding a rural New Jersey community. As disturbing as that story was, the dumping occurred years ago and only affected people living nearby. What if I told you that you have a better than 99% chance of having the chemical at the center of this story in your blood? I’m guessing that that fact might get your attention. 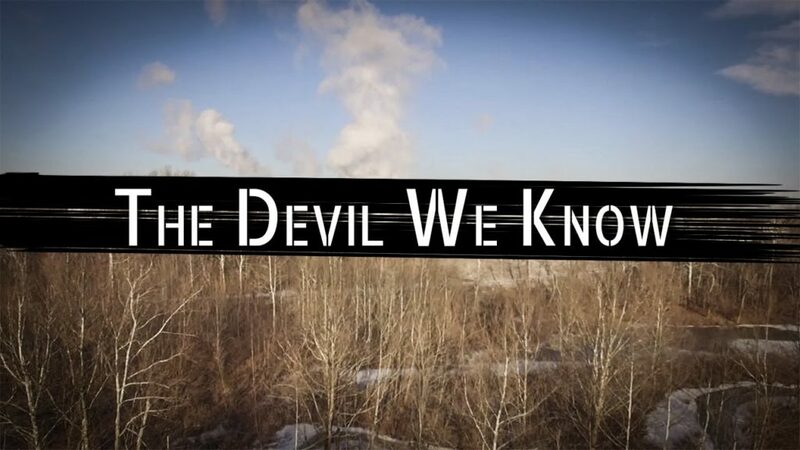 The Devil We Know tells the shocking story of how DuPont and 3M spread a toxic chemical known as C8 to an unsuspecting worldwide customer base. If you or your parents ever used any product with Teflon, you have been exposed. If you or your parents ever used a product that used Scotchgard, you have been exposed. The same is true for waterproof clothing, microwave popcorn bags, and hundreds of other products. So what is this mysterious chemical? It’s a man-made chemical that has an amazing ability to repel liquids. It was the chemical that allowed for the creation of the Teflon non-stick pan. It is also the chemical that researches discovered early on led to tumors and other birth defects in lab mice, dogs, and primates. Only when birth defects started showing up in the babies of women employees did DuPont prohibit them from working with C8. Just how dangerous is this chemical? One day while the plant in Parkersburg, WV was making C8 and venting toxic gasses into the atmosphere, a flock of birds flying overhead were killed instantly when they flew through the toxic plume. Did DuPont immediately cease operations and warn the public? Hell no. They started looking into ways to cover-up what they knew was a dangerous product. The hubris which DuPont displayed in dismissing the dangers will make you want to physically attack the dozens of company officials who were forced into revealing their complicity through depositions. So where was the EPA? If you really want to see what can happen when you have an industry-centric EPA leadership, I encourage you to watch this film. Not only did the EPA not stop DuPont and 3M, but they also spead falsehoods about the dangers under the direction of DuPont. How is that possible? It’s possible when industry and EPA officials become intertwined. When you hear about current roll-backs of regulations put in place to protect our land, water, and air, using the argument that these regulations stymie growth, this film shows the real repercussions of those industry favorable decisions. The Devil We Know is available on Netflix. This is another must-see documentary.